When he left his small and humble town of Ermelo in Mpumalanga province three years ago to study Mechanical Engineering at Mangosuthu University of Technology, little did Isaia Khosonke Mlangeni, know that he was on a journey that would change his life, and the engineering profession. Mlangeni has created a machine that loosens and tightens bolts. This machine is the first of its kind. 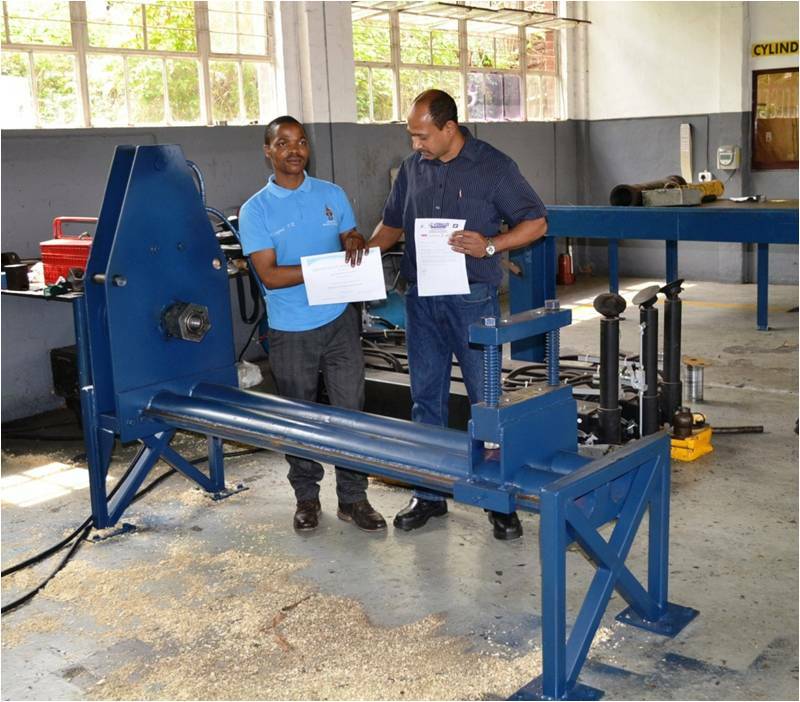 Mr Jay Naidu, the owner of JD Hydraulics, who financed the project, which lasted from April to September 2012, said the estimated R20 000 cost for building the brand new machine will be recovered within a year, and thereafter it will generate profit for the next 20 years or more. All parts were tested, using tensile test, which tests stress and strain. The machine took months to assemble. “Measuring and cutting steel, and welding it was not easy, but I achieved my goal, thanks to all the artisans and welders at JD Hydraulics, who helped me,” said a very happy Mlangeni.